This sign certainly attracts a lot of attention at our goodMix market stalls! There are lots of laughs, wacky photo opportunities and looks of utter disbelief from people; questions from bewildered children and most importantly the real question – what is this stuff – will it really improve the way I poo? Well the sign actually started out as a bit of a joke as we kept receiving this as feedback from customers! 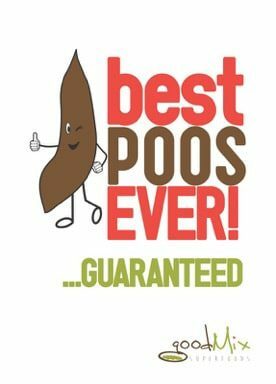 So after one of these comments at a market in the very early days, I scrawled on a piece of cardboard with nikko pen – “Best poos ever….guaranteed” – just for a laugh, and to see what would happen. 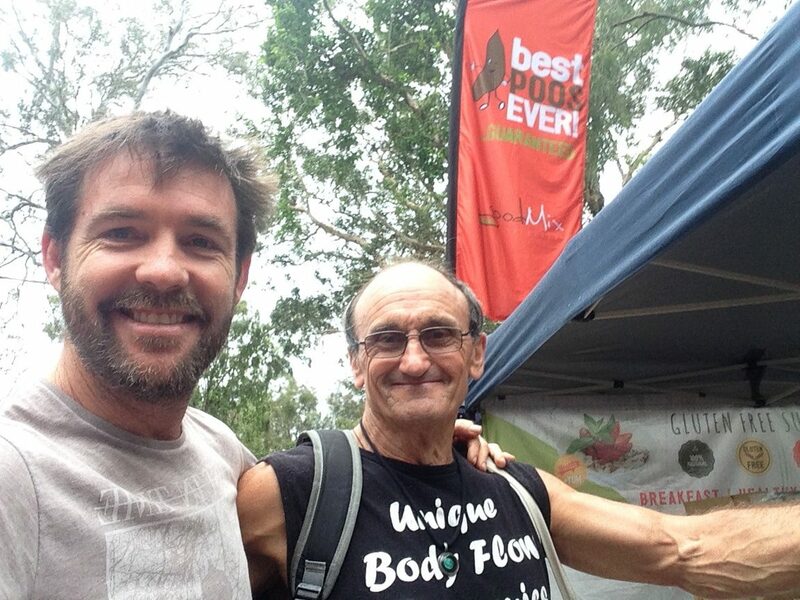 Some people laughed and gave us funny looks, but there were also many who were truly curious, and willing to try anything to help with their ‘poo problems’! I wasn’t prepared for the number of Blend11 addicts we would create, and the enthusiasm with which they shared and recommended the product to family and friends! It quickly became apparent that we were helping to solve a really widespread problem, for a lot of people with this ‘bag of seeds’. 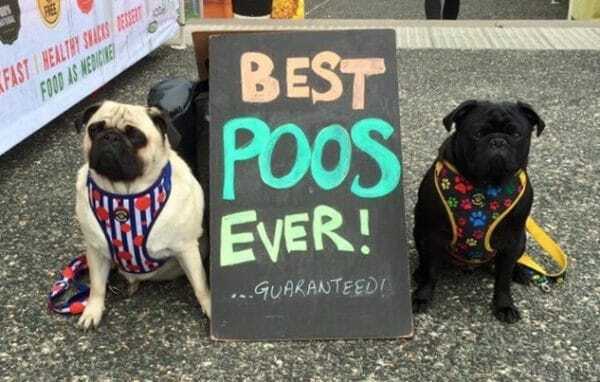 So what exactly causes the best poos ever effect? What even is a good poo? How can I tell if my poo can be improved upon? Why is the quality of my poo of any consequence? Will I even notice a difference if my poos are already of a pretty high standard? 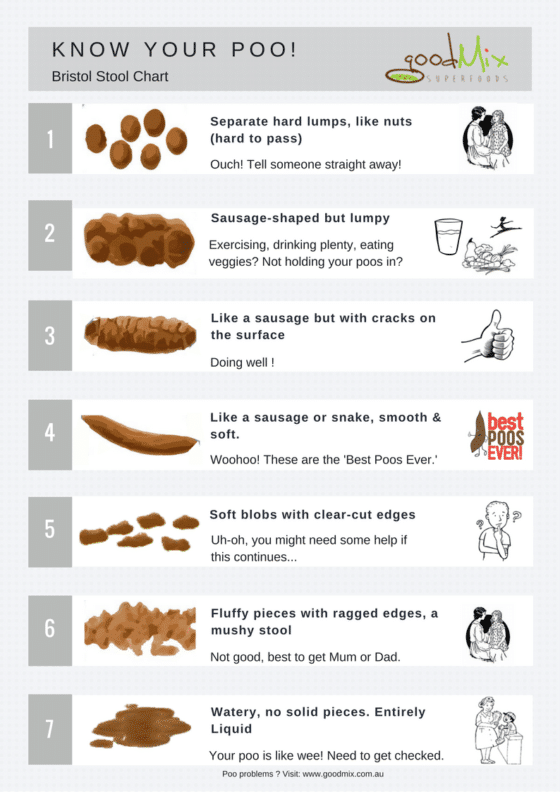 The ‘Bristol Stool chart’ is a great tool to answer the question ‘what is a good poo?’ as well as giving a clear idea if improvement is needed, as it is easily accessible on the net, can be printed and stuck to the back of the toilet door and quickly used to make simple comparisons. This is a highly recommended exercise, and is a hilarious way to teach kids (and other family members) about the importance of proper bowel function. It also makes for really interesting conversations when you have guests using your bathroom! The chart describes (in words and pictures) the most common types of movements we produce, and classifies them into categories (with names) giving us all something clear to strive for Type 4 (‘smooth sausages’ are what you’re aiming for!). Some of us have never given what we flush down the loo a second thought, believing it is just waste and who cares what it looks like. Do this at your peril – your poo will reveal many things about your health, and failure to notice some of these vital cues can literally end up being a matter of life and death! The quality or nature of your poo matters because it is a direct reflection of the health and function of your digestive tract. And the health and function of your digestive tract has a direct influence on EVERY OTHER aspect of your health, from your sleep to your skin, your hormones and your heart and even your immune system and mental well-being. The gut is our ‘centre’, and is a surface (like our respiratory tract and skin) which has direct contact with the outside world, or things that come from ‘out there’. There are many diseases which can be diagnosed or at least pointed to through simply observing and reporting the by-products of digestion. If your poo consistently rates poorly on the chart, get to your health professional ASAP and tell them what you are seeing!